Number of Servings 1 Ingredients 1 1/2 c. artificially sweetened vanilla-flavored nonfat yogurt 1 medium banana, peeled and sliced 3/4 c. frozen peaches 1 10-oz. container whole frozen strawberries (no sugar added) 1 tbsp. orange juice concentrate Instructions Combine all ingredients in a blender. Add enough ice to fill container; then purée until smooth. Nutrition Information 195 Calories; 1g Fat (2.4% calories from fat); 6g Protein; 44g Carbohydrate; 4g Dietary Fiber; 2mg Cholesterol; 72mg Sodium. Number of Servings 2 Ingredients 1 carton of 1% silken tofu (10.5 oz.–this is the reduced fat variety or substitute 8 oz. carton of low-fat yogurt, such as Dannon Light or Food Club Light flavor of choice) 1/2 ripe banana 2 1/2 cup strawberries, sliced and frozen 1 teaspoon vanilla extract (other extract flavors of choice can be used) Artificial sweetener to taste, if needed Instructions Freeze sliced fresh fruit on a cookie sheet (bananas, strawberries, and peaches are great! ), then store frozen fruit in a plastic freezer bags until ready for use. 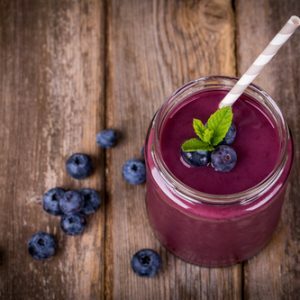 Place tofu (or yogurt) and 1/2 banana (or fruit juice) in blender and blend until smooth (add artificial sweetener if desired). Gradually add frozen fruit pieces and blend until smooth. Nutrition Information 157 Calories; 3g Fat (14.2% calories from fat); 12g Protein; 24g Carbohydrate; 5g Dietary Fiber; 0mg Cholesterol; 143mg Sodium. Number of Servings 2 Ingredients 2 cups milk 2-3 ice cubes 1 package Sugar-Free Strawberry/Banana Jell-O 1 banana 1/4-cup pineapple Preparation Time 10 min Instructions Mix everything in a blender and enjoy! Other fruits of choice can be substituted. (Check the First Place “Live-It Plan” for quantity needed for one fruit serving.) Jell-O flavors of choice can also be substituted. Nutrition Information 231 Calories; 9g Fat (33.5% calories from fat); 10g Protein; 28g Carbohydrate; 2g Dietary Fiber; 33mg Cholesterol; 214mg Sodium. Number of Servings 8 Ingredients 1 cup applesauce (no sugar added) 1 apple, peeled, cored and thinly sliced 2 Tbsp. raisins 2 tsp sugar Cinnamon and nutmeg to taste 1 (10-count) can low-fat biscuits 8 tsp. light margarine Instructions Spray cookie sheet with non-stick spray and open dough onto sheet, pressing out to make crust. Combine first five ingredients. Spread apple mixture evenly onto dough. Roll up like a jelly roll. Spread 8 tsp. diet margarine on top and bake until golden brown (about 5 minutes). Let cool. Nutrition Information 125 Calories; 3g Fat (22.7% calories from fat); 2g Protein; 23g Carbohydrate; 1g Dietary Fiber; 0mg Cholesterol; 48mg Sodium. Number of Servings 12 Ingredients 1-3/4 cup all-purpose flour sugar substitute to equal 3/4 cup sugar 2 teaspoons baking powder 1/4 teaspoon baking soda 1/2 teaspoon salt 1/4 cup unsweetened grated coconut 3 medium-size ripe bananas, mashed 1/3 cup reduced-calorie margarine, melted 1 egg, beaten 1 teaspoon grated orange rind 1/3 cup unsweetened orange juice vegetable cooking spray Instructions Sift together flour, sugar substitute, baking powder, soda and salt in a large bowl; stir in coconut, and make a well in center of mixture. 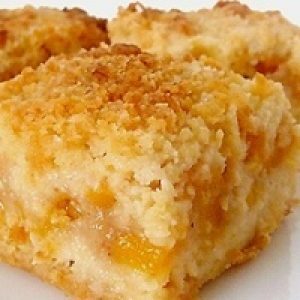 Combine bananas, margarine, egg, orange rind, and juice; add to dry ingredients, stirring just until dry ingredients are moistened. Spoon batter into muffin pans coated with cooking spray, filling two-thirds full. Bake at 375 degrees for 25 to 30 minutes or until lightly brown. Nutrition Information 137 Calories; 4g Fat (27.9% calories from fat); 3g Protein; 22g Carbohydrate; 1g Dietary Fiber; 18mg Cholesterol; 265mg Sodium.